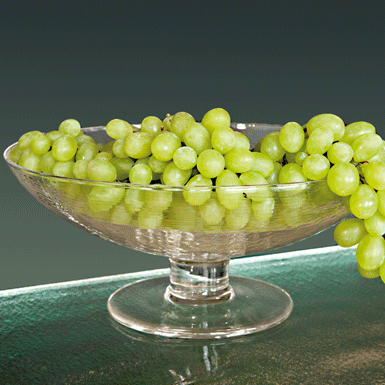 A bowl which holds the splendour of all fruits together. Glass with typical Glasi-glass structure. Mouth-blown with attached handle and inflated base. With flamed, smooth rims.